Home Health Care Providers & Services Diaverum Why should I care about my kidneys? Why should I care about my kidneys? With all the attention lately surrounding heart disease and strokes, diabetes and obesity, kidneys are often overlooked. After all, just how important can these two little bean-shaped organs be? Turns out, very important. Your kidneys are vital organs. In other words, without them, you couldn’t survive. 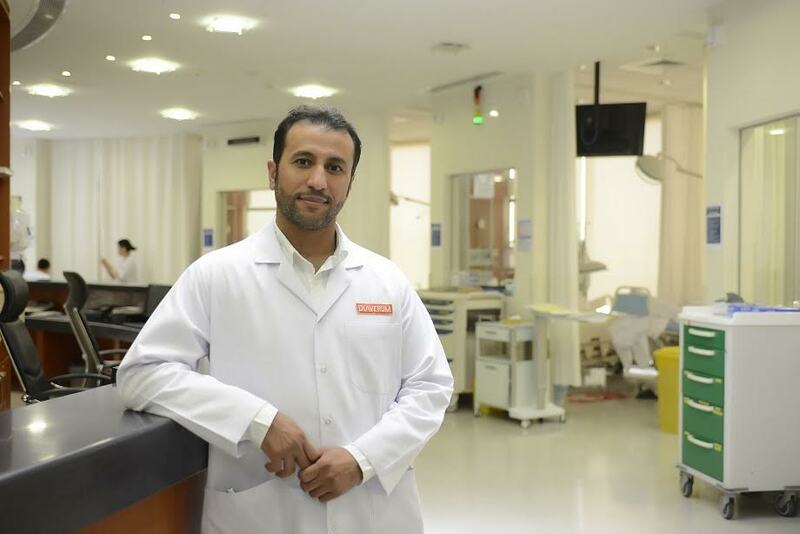 “In the complex machine that is the human body, kidneys play a vital role in many ways,” says Dr. Ali Al Harbi, Nephrologist- kidney doctor- at Diaverum clinics, the leading private kidney clinic in KSA, offering a full range of chronic kidney and dialysis services on behalf of the Saudi government in its 21 clinics in 15 cities. Removing toxic waste. The primary function of the kidney is to remove wastes-mainly urea-from the body. Toxic build-up of wastes in the body can lead to life-threatening diseases such as Chronic Kidney Failure. Every day the kidneys process about 200 quarts (190 liters) of blood and filter out about 2 quarts of waste products and extra water. To effectively handle this volume of blood, the kidneys are equipped with lots of blood vessels. If you extracted all the blood vessels from both kidneys, stretched them out then measured them, their collective length would be approximately 160 km! Regulating salt content and water. If you had a salty meal, for example, the salt is absorbed into your blood. When the salty blood reaches the kidneys, the excess salt is removed and passed into the urine. Remarkably, the kidneys are able to determine the correct concentration of salt (or sodium) that should remain in the blood, and remove any excess. Keeping your blood-pressure in check. This is done by hormonal reactions and regulating the volume of water in the body, preventing issues around hypertension, stroke and heart attack which can result from unchecked high or low blood pressure. Maintaining your body’s pH balance. If blood is too acidic, which means there is an excess of hydrogen ions, the kidneys remove these excess ions through urine. Bacteria -which are at the root of many serious degenerative diseases- flourish in an acidic environment. By regulating the body’s pH at a neutral pH 7.4, the kidneys help to maintain an environment that prevents diseases and promotes the efficient functioning of all bio-systems within the body. Blood red cell production. One such hormone is erythropoietin – eh-RITH-ro-POY-eh-tin – (try saying that three times fast!). It plays a key role in the production of red blood cells in the bone marrow. When the kidneys detect a decline in the red blood cells in the body, it produces erythropoietin. This hormone is released into the bloodstream and goes to the bone marrow, which triggers the production and release of more red blood cells. Strengthening bones. Many people are unaware that processing vitamin D is a function of the kidney. This is a really interesting fact for the region, with figures showing that up to 78 per cent of the people are vitamin D deficient. Here’s what the kidneys do to help process vitamin D: The kidneys convert calcidiol to calcitriol, which is an active form of vitamin D. In this active form, vitamin D promotes calcium absorption by the small intestine and makes it available for bone development. Now that you’ve seen the multi-tasking abilities of these small yet powerful organs, what can you do to keep your kidneys happy? Keep active and eat healthy. Keeping fit helps to reduce your blood pressure and reduces the risk of Chronic Kidney Disease. Try to get in at least 30 minutes of physical activity every day. Drink plenty of water per day. Getting sufficient H2O helps the kidneys clear sodium, urea and toxins from the body. Consult your healthcare provider to determine what the ideal amount of water is for you as this depends on many factors including gender, exercise, climate, health conditions, pregnancy and breast feeding. Keep regular control of your blood sugar level. Kidney damage from diabetes can be reduced or prevented if detected early. Diabetics need to be extra careful as they are 50% more likely to develop kidney damage. Be sure to get so regular tests to check their kidney functions. Monitor your blood pressure. Although many people may be aware that high blood pressure can lead to a stroke or heart attack, few know that it is also the most common cause of kidney damage. High blood pressure is especially likely to cause kidney damage when associated with other factors like diabetes, high cholesterol and Cardio-Vascular Diseases. Limit salt. Did you know that the recommended sodium intake is 5-6 grams of salt per day? That is the equivalent of a teaspoon! Try and limit the amount of processed and restaurant food and do not add salt to food. It will be easier to control your intake if you prepare the food yourself with fresh ingredients. Avoid smoking. Smoking slows the flow of blood to the kidneys. When less blood reaches the kidneys, it impairs their ability to function properly. Smoking also increases the risk of kidney cancer by about 50 percent.